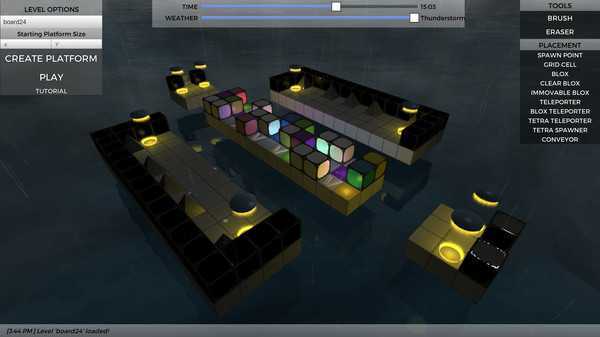 Bloxitivity is a puzzle/platformer with a powerful twist - you get to create the puzzles! Using the built-in level creator you're given the power to create intricate puzzles which you can share with friends and fans instantly using the Steam Workshop or directly by sharing the XML files used by the game. 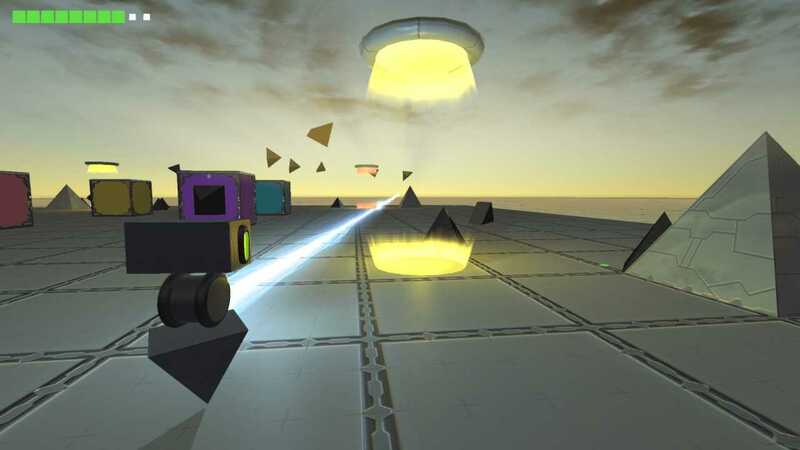 Build your levels with a host of tools and placements such as different colored blox and goals, teleporters, enemy spawners, conveyors, and more! Then share them with others for playing, streaming, or simply to show off what you've made. It's not just a game - it's a tool that unleashes your creativity. What will you create? 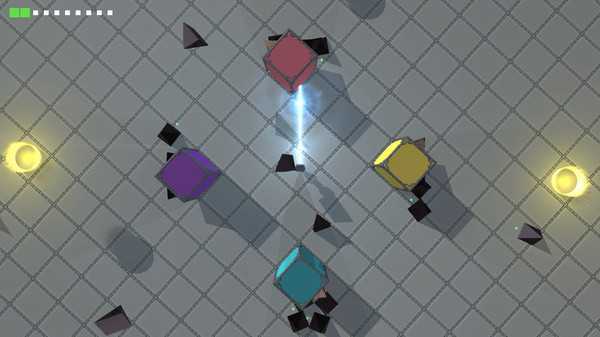 Move around unique stages created by fellow players as you push and pull blox onto matching goals with your powerful beam weapons. Switch between three different camera angles to get the best view of the action. Utilize your movement, dashing, and double jumping capabilities to traverse platforming elements and dodge enemies, or blast them off of the platforms so that you can solve each puzzle and clear the level. Bloxitivity comes with an assortment of initial levels that serve as examples to inspire you and fuel your creativity. As free updates to the game are released, we'll be adding even more official levels created by the development team behind the game; 55 Revolver. 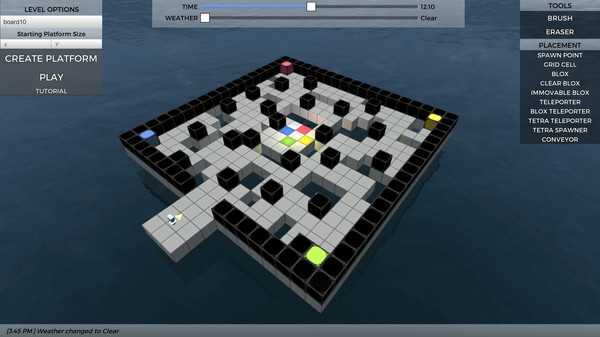 You can also download and play levels that you and other Bloxitivity players have created using the level creator. Inside the level creator you'll find all the tools you need to build your own puzzle/platformer levels including time and weather controls, spawn points, and more! Create as many levels as you like, test 'em out, then share them with others by uploading them to the Steam Workshop or by sharing the XML files that the game reads from. Make stages that will stump your friends, or create a relaxing setting to take the edge off. It's your game, make it the way you want it! Bloxitivity is a puzzle/platformer with a powerful twist - you get to create the puzzles and then share them with friends and fans using the Steam Workshop or the XML files used by the game! What will you create?